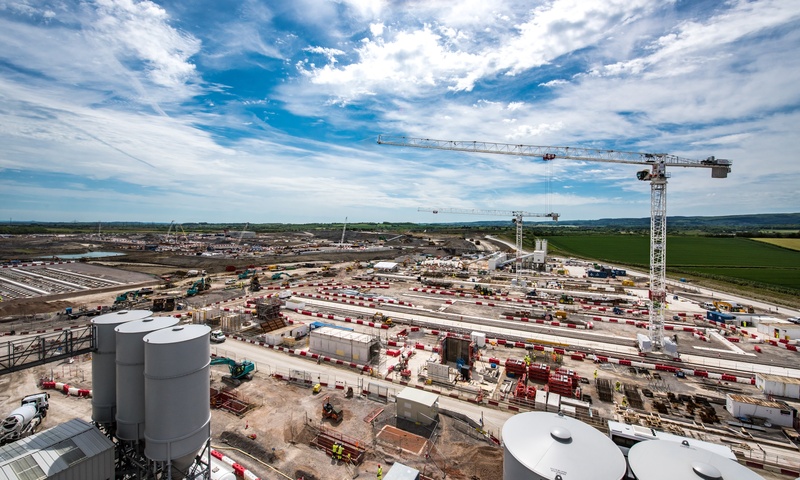 At Hinkley Point C, our aspiration is to create 1,000 apprenticeships over the course of construction. The wide range of skills required to build the power station means there really is opportunity for everyone. EDF Energy apprentices will also play a crucial role in operating and maintaining the power station throughout its 60 years of operation. So far we have supported the creation of 250 apprenticeships. Apprenticeships are at the forefront of our workforce development and skills needs and we want to provide the best possible access and experience for all apprentices working and learning as part of the project. The majority of apprenticeships created will be through our primary contract partners - such as Bouygues, Laing O’Rourke, Costain, KierBam, Alstom and Areva – who will specify exact requirements and commitments for each apprentice. Once on-site, apprentices will be part of a creative, vibrant and supportive environment providing the best possible foundations for any new career. Our apprentices will have face-to-face support at an on-site apprentice hub as well as digital access to relevant information, learning and care. Our culture is inclusive and collaborative, meaning our apprentices will work alongside and socialise with a variety of people across our workforce. Experiencing our unique environment will ensure any apprentice has the best possible springboard to a successful career. What's it like to be part of one of Europe's biggest construction projects? Join Caitlin, a Quantity Surveying Apprentice, for a day in the life of an apprentice at Hinkley Point C.
The minimum wage for an apprentice is £3.50 per hour, but many employers pay more than this. In fact, some Higher Apprenticeships can pay as much as £13.50 per hour. Apprentices receive marked salary increases on completion of their training and the roles often offer great opportunities for career progression. Pay can also be dependent on the industry, location and type of apprenticeship. It’s impossible to go a day without using English and maths skills and this applies at Hinkley Point C too. Good English and maths skills will ensure you are able to be productive and importantly safe, in your work as an apprentice. Safety is at the forefront of everything we do and these skills are vitally important in many ways, for example, being able to confidently read and interpret health and safety signs. Many employers look for at least GCSE grade C in each subject, so English and maths skills could be the difference between you getting the job or promotion you want or not. However, as an apprentice you should be given the chance to improve your English and maths skills, even if you have achieved at the level required for your apprenticeship. If you do not already have GCSEs at grades A*-C in English and mathematics, you should be offered the opportunity to achieve at this level as part of your programme. You will normally work towards functional skills in maths, English and ICT, Level 1 for an Intermediate Apprenticeship and level 2 for an Advanced Apprenticeship. If you are aged 16 or over and not in full-time education, then you are eligible to start an apprenticeship. If you are interested in pursing an apprenticeship at Hinkley Point C, then please make sure you register below to be kept up to date with the latest opportunities as and when they become available. Aged between 16-21 – Register for Young HPC here. Aged 18+ – Register on the HPC Job Service here. An apprenticeship is a career, not just a job. To get started in the world of work you usually need a combination of experience and qualifications. An apprenticeship gives you both, combining on-the-job training with study, leading to learning, earning and experiencing. It usually takes between one and five years to complete an apprenticeship depending on which level you take. Apprenticeships are available across a wide range of industries at Hinkley Point C, with many high quality organisations offering them. Whilst it is widely acknowledged that full-time education, such as college, sixth form or university is a proven route into employment, it does not always offer the valuable work experience that an apprenticeship can offer. Apprenticeships allow you to earn while you learn, and give you the opportunity to develop the skills that employers really want; including specific skills relating to your job, your company and your chosen sector. Hear what some current and previous apprentices have to say about working at Hinkley Point C.